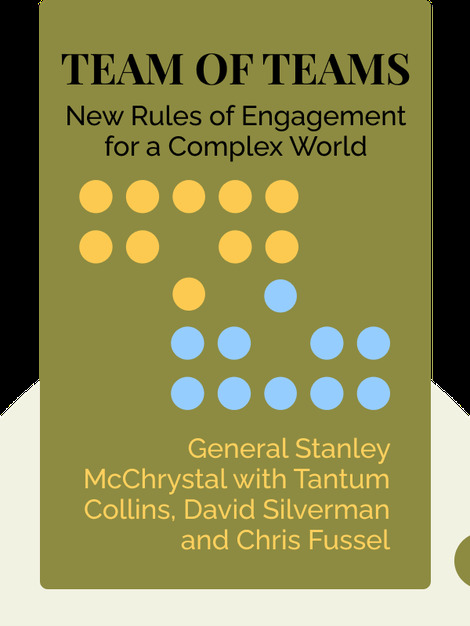 Team of Teams (2015) lays out the many ways that even large organizations can benefit from the agility and savvy of small teams. By building a team of teams, companies can better manage the complex, interconnected issues that often mean life or death for a company. 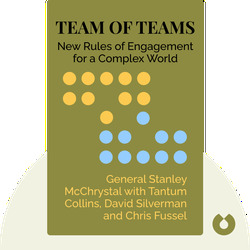 General Stanley McChrystal served at the US Army for 34 years before retiring as a four-star general. David Silverman and Chris Fussell are former US Navy SEAL officers and current senior executives at CrossLead. Tantum Collins studies international relations as a Marshall Scholar at Cambridge University.